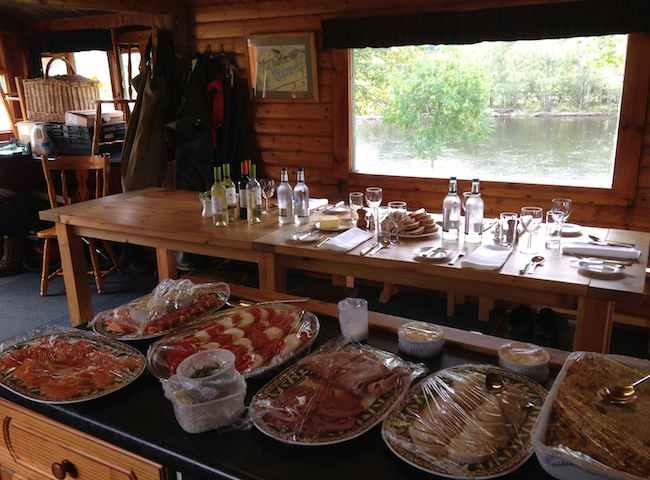 During the Summer months many of our salmon fishing event clients prefer a light buffet lunch in one of our many luxury River Tay salmon fishing huts. 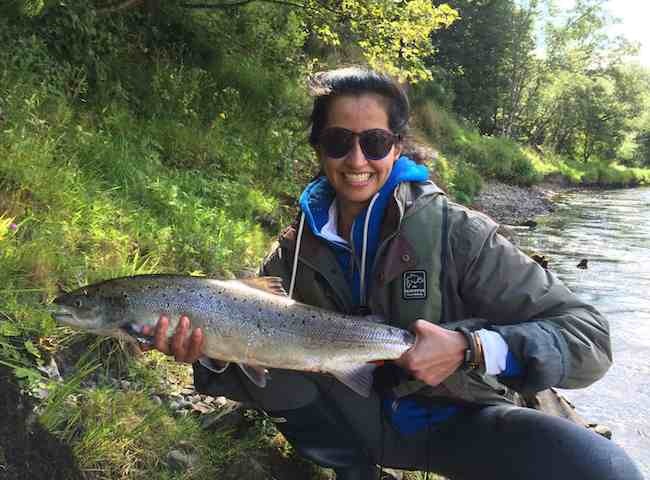 This perfect Summer salmon was caught on a River Tay salmon fishing event by this fortunate lady guest during the beautiful month of July. 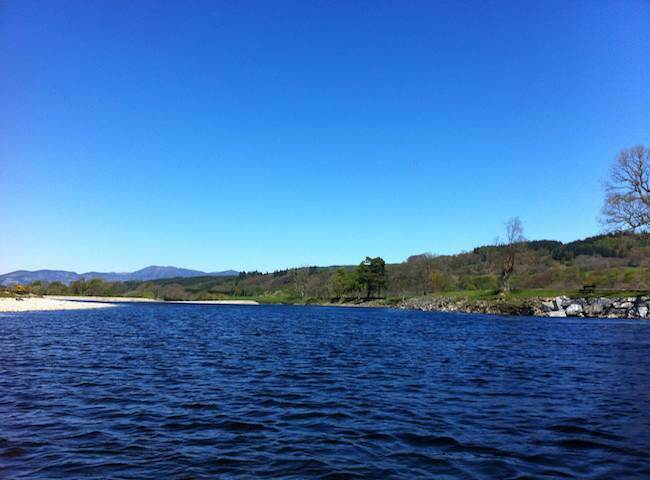 Here's a lovely blue sky shot of the River Tay near the town of Dunkeld. Fishing for salmon on a day like this is an exceptionally memorable experience. 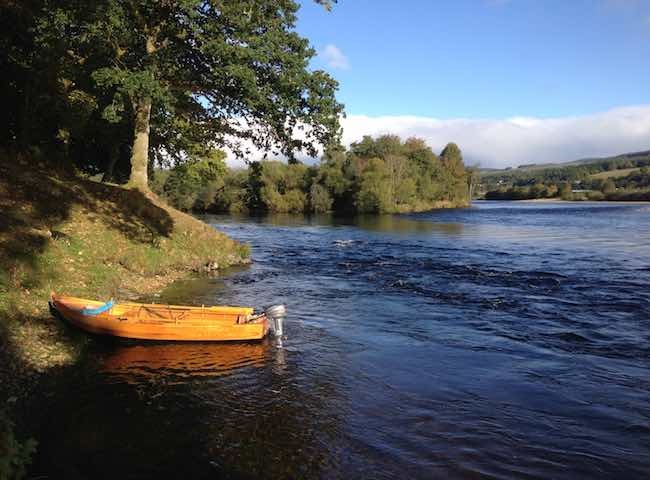 Here's a shot of one of the beautiful River Tay handcrafted salmon fishing boats. These magnificent boats are built out of larch & oak and are used on all salmon fishing event days. 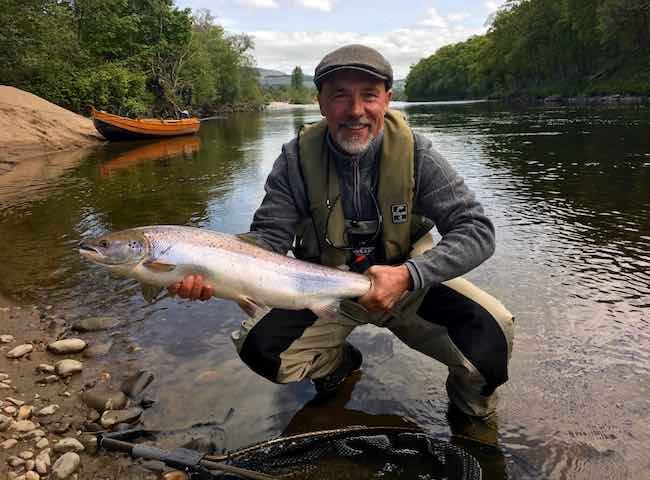 All River Tay salmon fishing events commence with some highly effective salmon fishing tuition under the guidance of our professional River Tay guide team. Here's a beautiful River Tay salmon which was caught during the month of May. Catching a salmon of this caliber is a highly memorable experience. 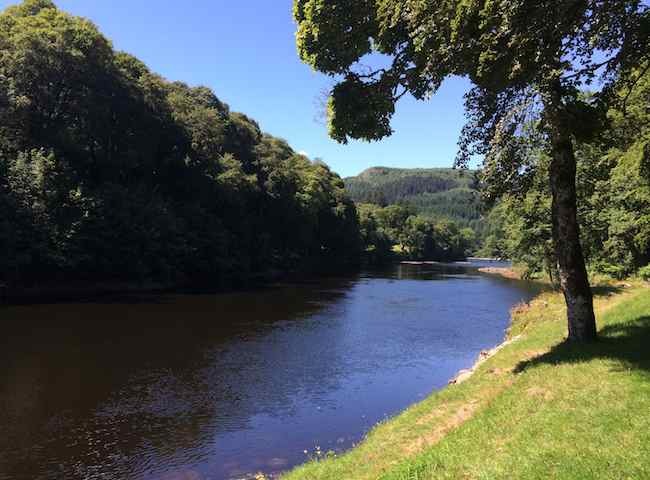 Here's a beautiful Summer shot of the River Tay near Dunkeld. 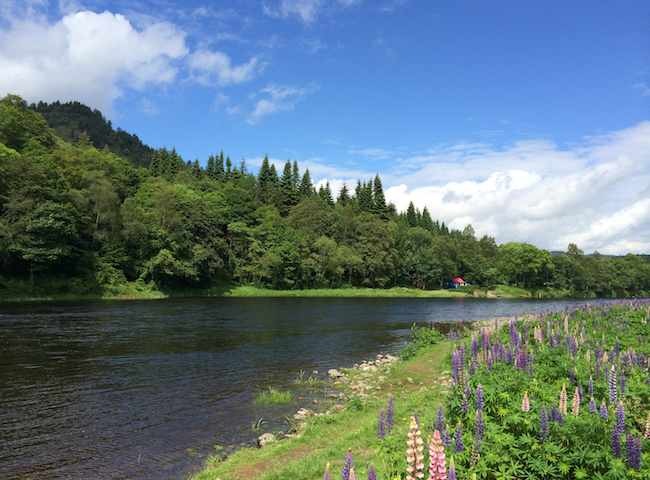 This is an amazing area of the Tay Valley to host your business associates on a salmon fishing event. 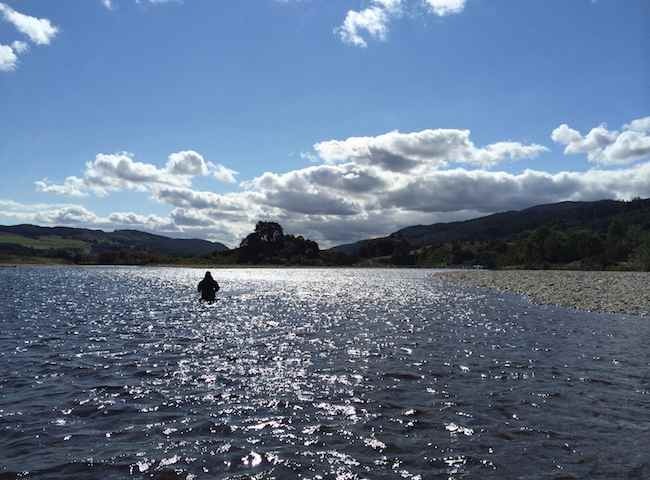 The months of June, July & August are exceptionally beautiful times to be out fishing on the River Tay. 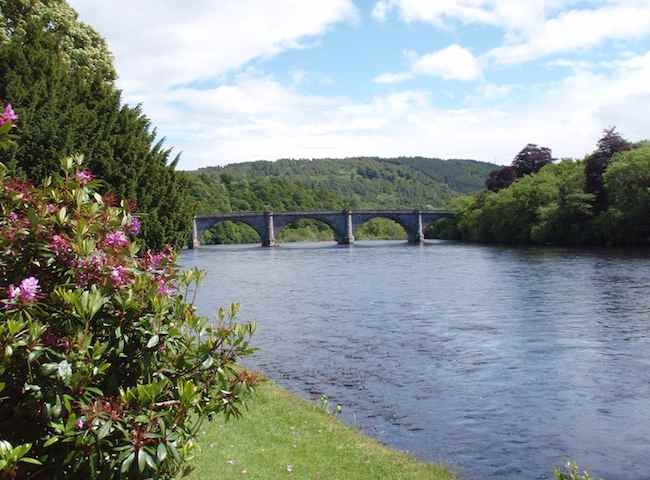 This is a shot of Dunkeld Bridge in summertime. 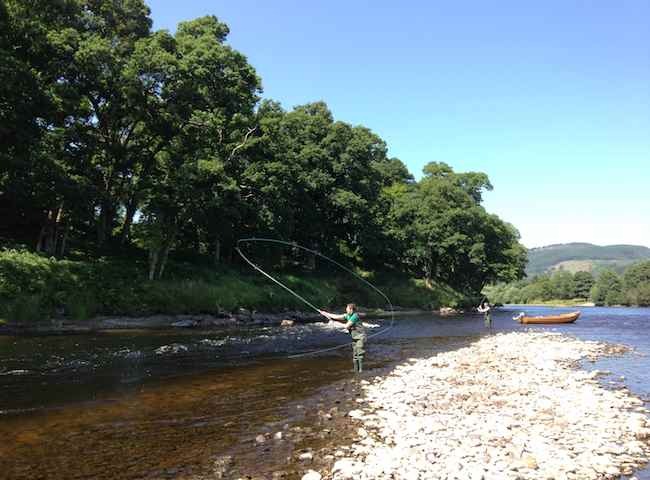 The famous River Tay in Perthshire provides the most idyllic & accessible setting for a professionally delivered salmon fishing experience. There's a huge thrill in catching a wild salmon on the fly rod. 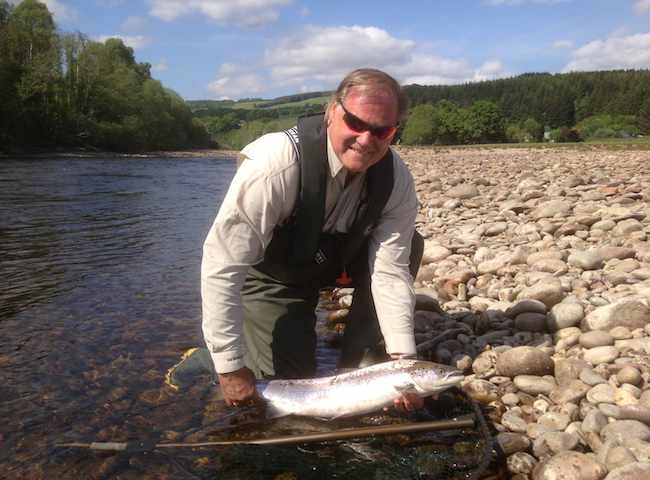 Treat yourself & your business associates to a professionally delivered River Tay insight into this fascinating sport. The beauty & tranquility of the Scottish salmon river has to be experienced to be fully appreciated as does the magnificence of a fresh run wild Atlantic salmon.